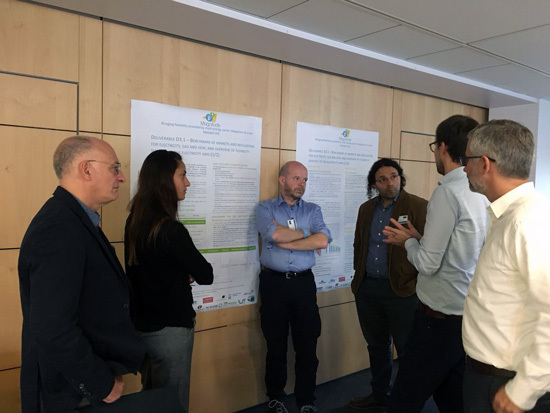 MAGNITUDE hosted its first MAGNITUDE Advisory Board (MAB) meeting joint with the project’s 2nd General Assembly (GA) meeting on the 2nd of October 2018 in Chatou, France. This one day meeting was dedicated to the general presentation of the project, its current status and the first results obtained. 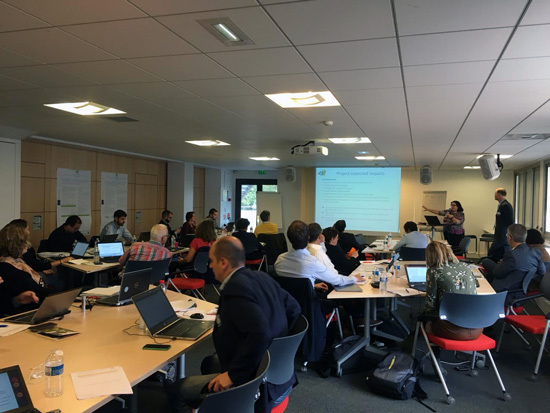 In addition, it was a place to discuss the next steps, future plans and advise the MAGNITUDE consortium regarding open questions related to the project topics (e.g. on the provision of services by multi-energy systems, the associated barriers or the project Key Performance Indicators). The MAGNITUDE partners were honored to host the MAB members who were able to contribute from their experience and point of view to the discussions. This has initiated an on-going collaboration which will continue through the life time of the project. Session 1 – Flexibility service provision and case studies dedicated to the description of the project, the flexibility services to the electricity system that will be studied for the provision by Multi-Energy Systems (MES), the 7 real-life case studies considered in the project and their capability to provide the identified services. Session 2 – MAGNITUDE technical and market approach presenting the approach towards the definition of the project use cases and scenarios to be tested, the MAGNITUDE functional technical and commercial architectures, the project’s KPIs, the simulation and optimisation “chain” to be developed and the design and simulation of a multi carrier market. Session 3 – Advisory Board feedback and open questions, devoted to the feedback and recommendations of the MAB members on open questions such as: barriers and supporting schemes for MES, future business models for MES and new technologies, relevant KPIs, flexibility services and scenarios to be considered in the project. At the beginning of the day, participants received a list of questions to answer during the first two sessions and their answers were discussed during Session 3. At the end of Session 1 and during the breaks, a poster session was held, presenting the results achieved and enabling the participants to receive more detailed information regarding these results. 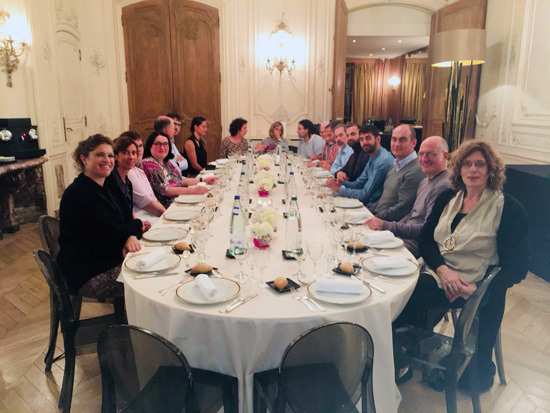 As for the social part of the meeting, the participants where hosted for dinner by EDF in a beautiful ancient building at the heart of Paris.